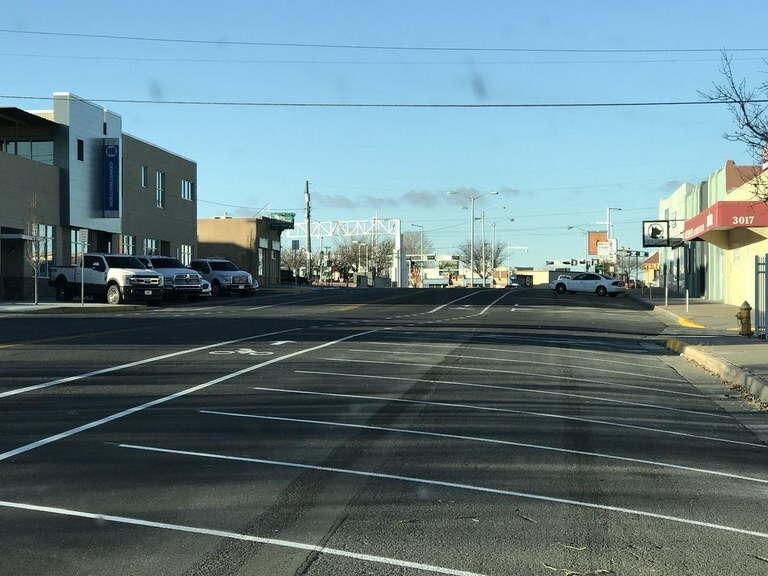 Just in time for last-minute holiday shopping, the City of Albuquerque has opened 37 permanent new parking spaces for the Nob Hill shopping district. The new design for Monte Vista Boulevard between Central Avenue and Campus Boulevard came about after meetings with business owners, neighborhood association leaders and officials from nearby Monte Vista Elementary School. The total cost was $65,439. The design and restriping were paid for by voter-approved funds set aside for District 6 street projects. The project was run out of Councilor Davis’ office and completed through the city’s Department of Municipal Development. The new design provides 85 vehicle parking spaces and 4 new motorcycle parking spaces, nearly doubling street parking available in the first three blocks of Nob Hill east of Girard Boulevard. The parking area is just one block from the new Bryn Mawr Drive ART stop, making ART more accessible to tourists, shoppers and commuters who start their journey in Nob Hill. These spots are in addition to new parking spaces added last year on Monte Vista Blvd. and Silver Ave. Businesses needed more parking, accessible within 1-2 blocks, to accommodate customers who use multi-modal transit, including those who arrive by car. The roadway design made it difficult for pedestrians to cross and was thought to promote unsafe driving in an area frequented by children and shoppers. Neighborhoods were frustrated that employees and overflow shoppers regularly filled nearby neighborhood streets, blocking residents from parking in front of their homes. Parents of students at Monte Vista Elementary often park in neighborhoods or illegally during school drop-off and pick-up. These new spots now add parking for parents and limit the roadway width around the school. Monte Vista Blvd, just 1 block from Central Avenue, is a gateway to Nob Hill for drivers entering from the North side of the city, but the previous design (three and four-lane road ways with little parking) did not match the need.